Natural Sea Sponges absorb more water for efficient cooling and rinsing. Large 8 to 8.5 inch (wet) size. "Sea Wool" is the most durable and absorbant of the real sea sponges. $18.00 without Grommet $20.00 with grommet added. 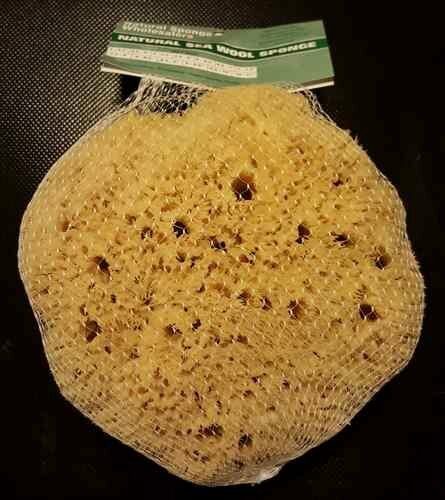 The net bag shown in photo is the packaging I get the sponge in. Net is not made for carrying on the horse. These are too big for the mesh bags I sell for Synthetic Sponges. 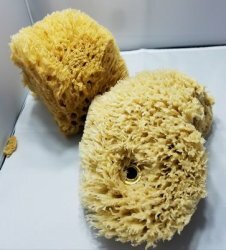 Natural Sea Sponges absorb more water for efficient cooling and rinsing. Large 8 to 8.5 inch (wet) size. For best results wet sponge in camp so it will take up water on trail.